Hi everyone. 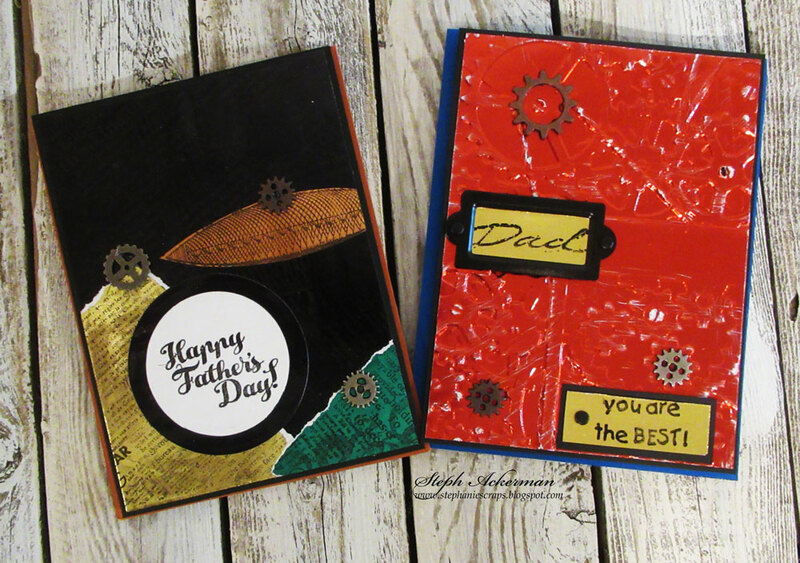 As you know Father's Day is not too far off now and I've got some amazing Father's Day cards on the Rinea blog using the new Magical Foiled Paper Variety Pack. 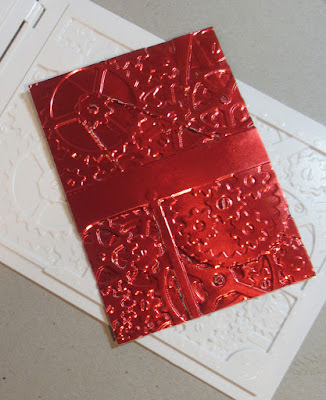 I began by embossing Glossy Ruby Red/Gold Foiled Paper with a Spellbinders embossing folder. Look at all those details. 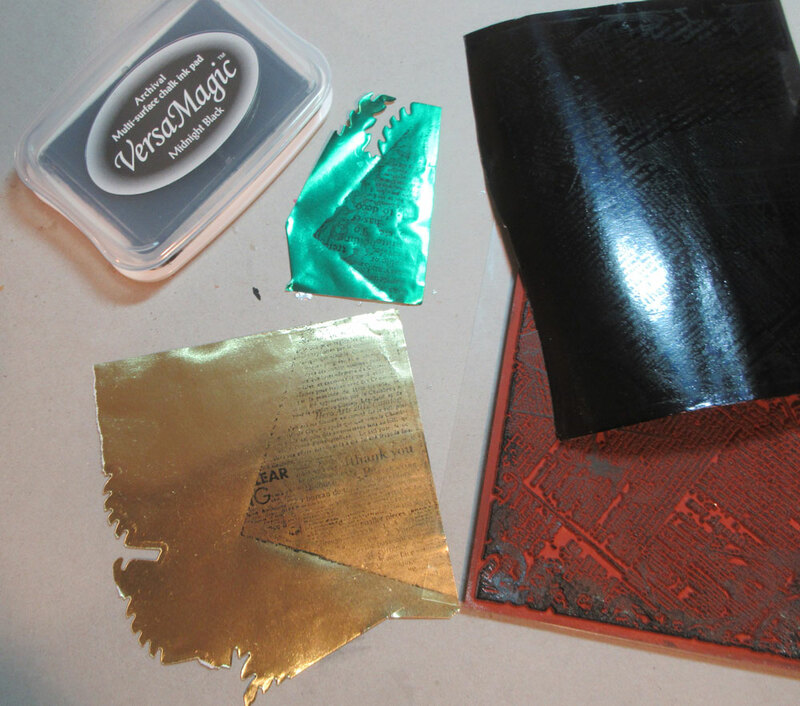 Using fine sandpaper, I sanded the embossed paper before matting it with black cardstock. 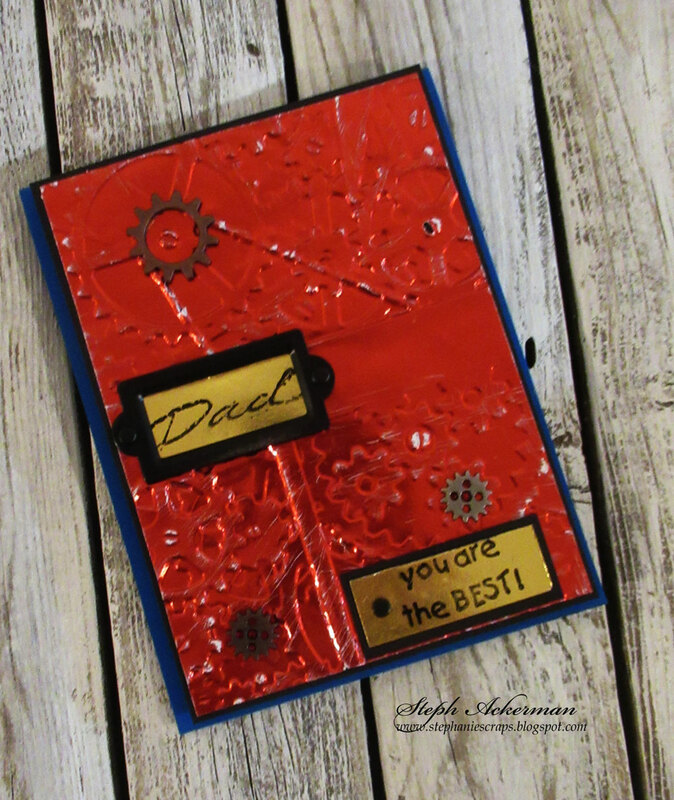 Dad and you are the best were stamped on Glossy Gold/Gold Foiled Paper. Dad was placed inside a label and attached to the panel with brads. You are the best was matted with a scrap of Glossy Ebony Black/Gold Foiled Paper and adhered to the panel with a brad. In keeping with the background theme, metal gears were added to the card. For my next card I inked a background stamp with black ink and stamped it on Glossy Ebony Black/Gold Foiled Paper. 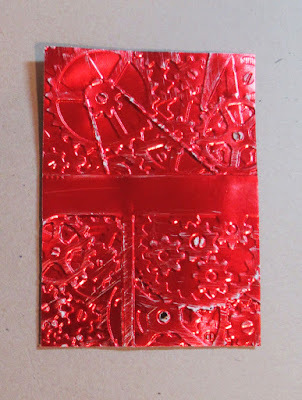 Next, I determined where I wanted to add additional colors of foiled papers and stamped them with the same stamp. I stamped scraps of Glossy Gold/Gold Foiled Paper, Copper/Gold Glossy Foiled Paper and Emerald/Gold Glossy Foiled Paper. 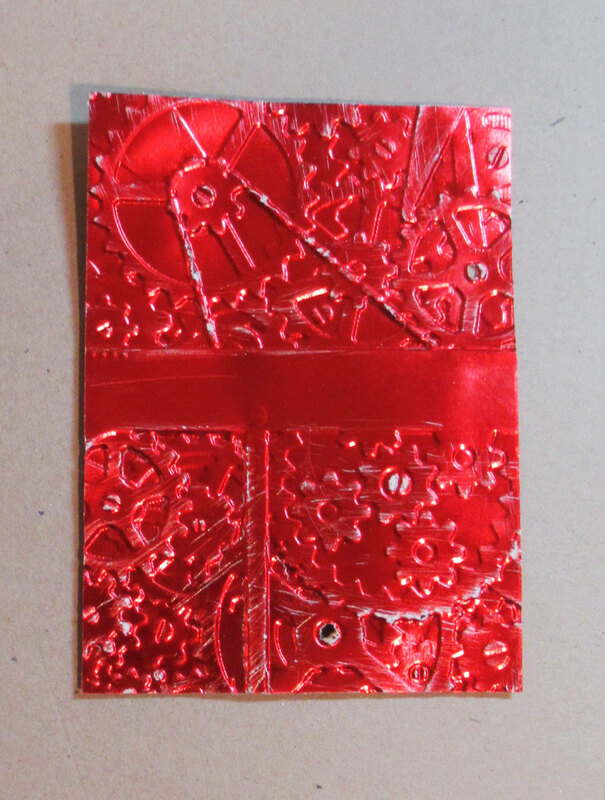 I cut around the balloon and adhered it to the main image, then tore the other papers and added them to the card. 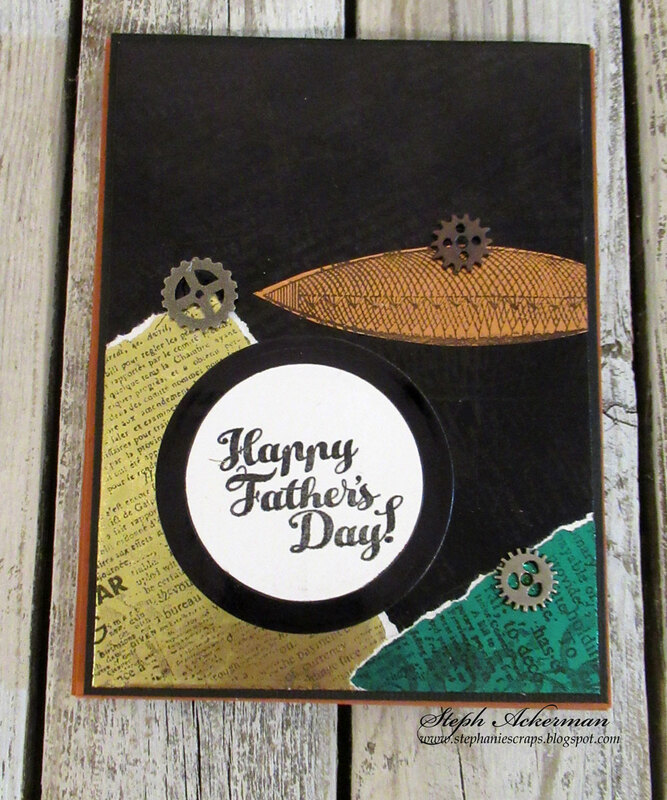 The panel was matted with black cardstock and added to a card with foam adhesives. Happy Father's Day was stamped and added to the card. Then metal gears were scattered about the card. This is so creative! ;) I think this makes a WONDERFUL Masculine Birthday Card too! LOVE that you used the embossing folderxs and stamps and other things too!